Wayne was born May 3, 1953 in E. St. Louis, IL, raised in Granite City Il. He earned a BM degree (major in Piano/Organ) from Southern Illinois University/Edwardsville, in 1975, and a MA degree from Ball State University in IN in 1981. He has two sons, Todd-32 and his wife Meredith currently in Dayton, OH, and Greg-35 and a beautiful granddaughter Amelya, age 11 who he lives with in Cape Coral, Fl. 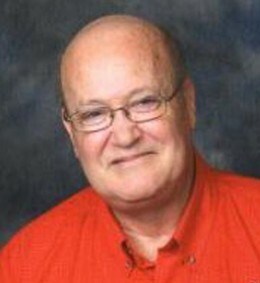 Wayne was a public school music teacher for 38 years in Richmond, IN and Alliance, OH, retiring in 2013. He has been involved in church music from age 14 on, starting at a Southern Baptist church in Illinois, organist at a Christian Scientist church in Illinois, then moving on to an American Baptist church in IN. He was the Asbury Youth Choir director and Asst. organist at a large Methodist church in Indiana for 11 years. After moving to Ohio, Wayne became the Organist for First Congregational church in Mansfield, OH for 14 years before moving to Florida. He has had the pleasure of accompanying NY Met star Sylvia McNair and performing in concert with Dr. Gulimina Mahamuti, a concert pianist appearing worldwide and at Carnegie Hall in NYC. His high school choirs performed four times at Disneyworld, once at Northwestern University in Chicago, and twice at St. John the Divine church in NYC. Wayne has had the pleasure of playing the “Mighty Wurlitzer” organ in concert in Mansfield OH several times, and also appeared with the Mansfield Symphony Orchestra. He has performed numerous pipe organ, piano, and electronic organ and synthesizer concerts and recitals. Wayne was the staff accompanist for a Summer Stock Theatre group in Hagerstown IN, and the pianist for the Great American Tent Show performing in Vaudeville routines, Melodramas and Broadway Musicals in Indiana and Ohio for 15 years. He has been the pianist, orchestra director, stage director and producer of over 80 Broadway shows in Amateur and High School theatre in Richmond, IN, The College of Wooster (in Ohio), and High School and college theatre in Alliance, OH. It is a pleasure for Wayne to be in Sarasota at Pine Shores Presbyterian and He is looking forward to joining such a wonderful music program and getting to know the members and staff.